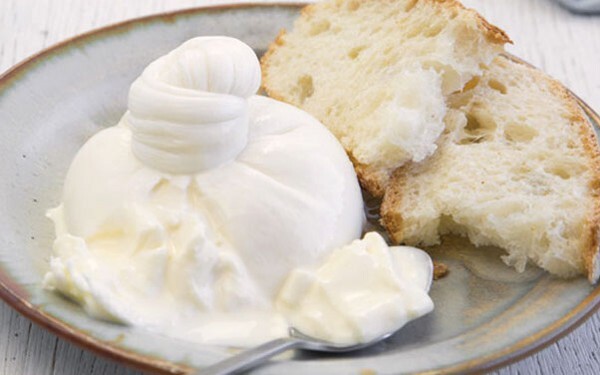 Similar to mozzarella, the fresh and creamy taste of burrata goes very well with salads, fresh tomatoes, and prosciutto. It is also nice to eat it simply with tomato, olive oil, and a little bit of dried oregano. One of the most popular salads at Pizza 4P's is the Rocket Burrata Salad. It's served with rocket leaf, slices of tomatoes, burrata cheese, and balsamic dressing. Expiration period: 4 days after the production date.